The latest OS for the new Apple devices are now live. 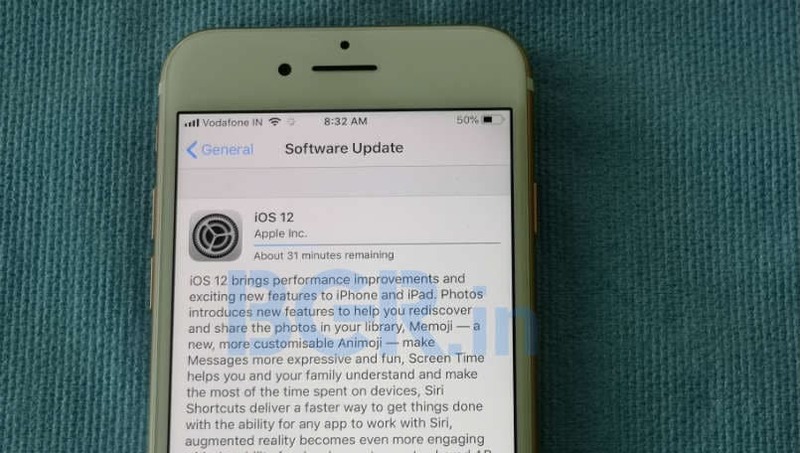 After the initial release of the beta version in June for developers and beta testers, Apple has released its latest OS version for its iPhones and iPads, iOS 12. Apple launched its latest iPhones, the iPhone XR, iPhone XS and the iPhone XS Max last week, and now the company has rolled out the new OS as well. Besides the new iOS, Apple has released the new watchOS 5 today as well which would work on all the previous generation Apple Watches, except the first generation ones. The new iOS 12 was first showcased at WWDC 2018 in May and today it has been made available globally for all years. Apple has said that the new iOS 12 will make even the older devices faster and more secure. Besides that, there are a few new things that Apple is introducing with iOS 12, as the company has focussed mainly on the security and performance enhancement with the new OS. Users, that have iPhones and iPads that are eligible for the new update can follow the following steps to get iOS 12 on their devices. watchOS 5 is the first OS from Apple that won’t be compatible with the first version of the Apple Watch. watchOS 5 has now been released by the Cupertino based company and will be available to download for Apple Watch Series 1, Series 2, Series 3 and of course the new Apple Watch Series 4 will come with the new OS. Users that have a compatible Apple Watch will first need to update their iPhones to iOS 12 otherwise the update won’t turn up on the Watch. Once that is done, the iPhone needs to stay near the Apple Watch for the update to happen, as for the Apple Watch, it needs to be on its charging stand. Once ready, the user will need to go to the Watch app on the iPhone and then scroll down to General > Software Update. The new update details will be presented to the user, and the user can then tap the Accept and Download button which will initiate the update process. The passcode will be needed on the iPhone and on the Watch as well. This should begin the process and the user can use the iPhone, but they are advised to not go far from the Watch with the iPhone.